Henna is an essential part of Moroccan culture, one of the pillars of the customary tradition. The Prophet, calling it "queen of all flowers" and it is one of the very symbols of Muslim culture. This plant is known and used for centuries, women in ancient Egypt already knew its cosmetic capabilities. Filled with Baraka, it distributes the many benefits of its leaves. Its small white flowers are used to produce a subtle fragrance. The wedding ceremony is perhaps the most important in the country because it symbolizes the family and the preservation of traditional values? ?, also called the multiple powers of henna. 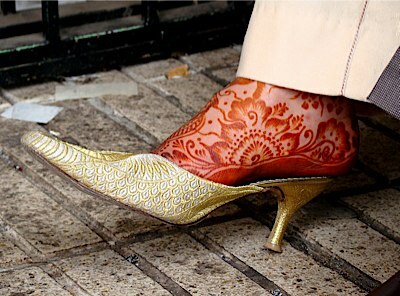 The bride is seen painted with henna on the feet and hands, arabesques across regions, charged with a message and a complex or simple protective whitewash. Henna is also very present in the most mystical and religious ceremonies therapeutic trances or intercession of saints who are ready to many. The symbolism of Henna is so strong that the henna is used in the most important moment of life in Morocco. In the north of the country, during the preparations for the Akika celebrating the seventh day of the birth of a child, the baby just born is soaked and cleaned with water decoction of roots and leaves of mint Henna . Both plants are known for their esoteric but especially under dermatological and are supposed to bring prosperity to the baby in her future life. In the eastern regions, six days after the birth of the child, it is every day coated with a mixture of olive oil and henna and wrapped in a cloth. The feet and hands of the newly delivered are coated with henna and is celebrated as a princess. 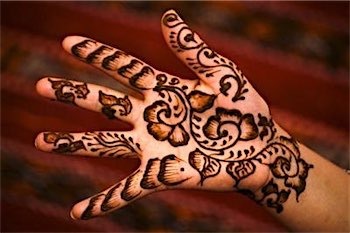 Each region has its own tradition of baptism, the constant is the use of henna as protection for both tangible and intangible. I would like to draw the attention of henna users to be wary of the use of this product mixed with a dangerous solvent called Paraphenylediamine. This product is sometimes added to henna to give a dark black color which will help keep the drawing for a long time. Unfortunately, a lot of damage has been done to the skin, even burns, the traces of which can persist for more than a year in some cases! 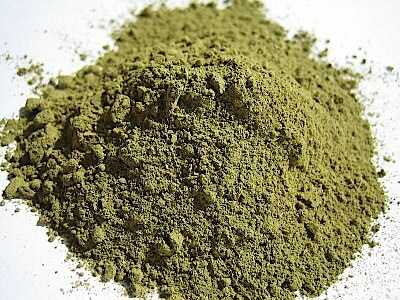 Henna should be used alone or with appropriate plant extracts, such as cloves, or pomegranate peels, or walnut roots, all this to give a more persistent coloring, knowing that henna, as the article above clearly pointed out, is very interesting to use. Le Henné, une tradition sociale qui date de l'antiquité.